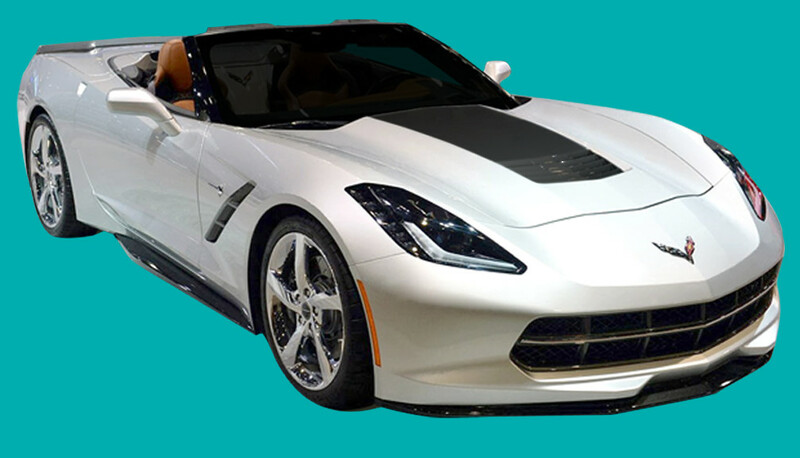 Our 2014 2015 2016 2017 Chevrolet Corvette C7 Stingray OEM-style Stinger Hood Decals are produced with High Performance Automotive Grade 2ml 3M & Avery Cast vinyl. Don't trust a fly-by-night company with your Stingray. Our stinger hood decals are made to meet or exceed OEM stripe/decal standards. American materials; American craftsman and American pride are incorporated into every decal kit. You deserve the best product on the market. Our C7 Stinger Hood stripe will enhance your new Corvette C7 with the latest in eye-catching appeal and BEST OEM-color-matches in the industry. Since 1985, Phoenix Graphix has served the muscle car industry. We are the oldest and largest manufacturer of restoration automobile decals and stripe kits. Trust US with your new Corvette.